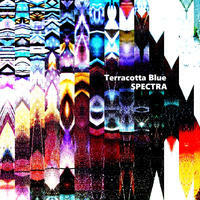 Terracotta Blue: Hip-hop-infused, electronic chill music... with a dash of everything else!. 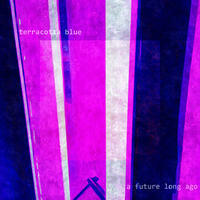 The Terracotta Blue alias is an outlet for my more melancholy, electro-inspired endeavors. And there's absolutely no back story or special meaning to the name; I just thought it sounded cool! I dabble in all sorts of electronic genres-essentially anything that has a lot of synths and hard drums! I'm a fan and listener of all types of music (I have everything from doom metal to funk in my iPhone playlists), but I would say that hip-hop is the one constant that ties everything together. From the use of sampling to the grittiness you hear in many of my tracks, the hip-hop influence is undeniable. I'm also fascinated by the inherent freedom electronic music allows me, in all its forms. 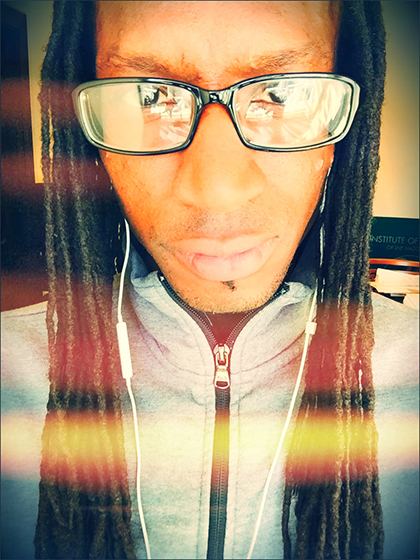 So I'd best describe my music as hip-hop-infused, electronic chill music. Hopefully people will just regard it as good music. Where did you grow up and where do you live now? What have your roots brought to your music? I grew up right outside of Washington, D.C., in Silver Spring, Maryland - that's where I live now. D.C. is known for its percussion-heavy funk music called go-go, but I was honestly never really into it growing up. I was that kid sitting quietly in the corner bobbing his head with big headphones on and a backpack full of hip-hop cassettes and CDs! How did you get into music, and where did you learn how to play? Believe it or not, it was Dr. Seuss' The Cat in the Hat that really got me interested in manipulating sounds. It wasn't the book itself (which is a childhood classic! ), but rather the read-along cassette tape (!) that came with it. One side of the tape had someone narrating the book, and the B-side was blank and invited the reader to "make up and record your own stories." I remember the exact wording! So I would record my voice and myself banging on different objects to create sounds. I've been hooked on making sounds ever since! I played the saxophone and trumpet in the 4th and 5th grades, respectively. But when I recorded myself playing on my first Radio Shack keyboard I became totally transfixed by electronic music. Then I caught the hip-hop bug in 1989/90, and that was it! That's when I was like, "This is the music I need to be making!" I eventually started experimenting by pause-mixing beats on dual tape decks and recording drums machines and samples on 4-track recorders. I bought my first "real" piece of equipment-the MPC2000XL-in 2000. In 2005 I was introduced to Reason and FL Studio software - I've used the same programs to make music ever since. What next for Terracotta Blue? More music, of course! I try to release a single/EP/album every couple of months or so. And I'm very excited to release some material through Magnatune; it's a great platform! You can find out more about Terracotta Blue on his Soundcloud page. Terracotta Blue lives in Maryland, USA. Tagged as: Electronica, Instrumental, Inspirational, Daydreaming, Downtempo, Happy Hour.